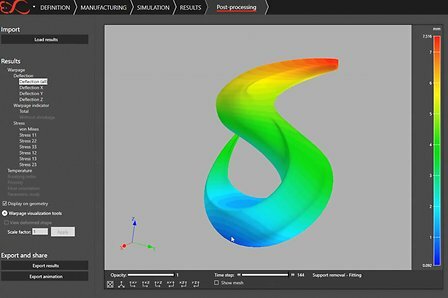 Alpharetta, Ga., April 25, 2018 --- Solvay further established itself as an emerging leader in specialty polymers for additive manufacturing (AM) today with the news that high-performance KetaSpire® PEEK AM filament will be the first polyetheretherketone polymer included in e-Xstream engineering’s Digimat® simulation software due for launch in June 2018. Solvay Specialty Polymers manufactures over 1500 products across 35 brands of high-performance polymers – fluoropolymers, fluoroelastomers, fluorinated fluids, semi-aromatic polyamides, sulfone polymers, ultra-high performance aromatic polymers, and high barrier polymers – for use in Aerospace, Alternative Energy, Automotive, Healthcare, Membranes, Oil and Gas, Packaging, Plumbing, Semiconductors, Wire & Cable, and other industries. Learn more at www.solvayspecialtypolymers.com. Solvay is an advanced materials and chemical company, committed to developing chemistry that addresses key societal challenges. Solvay innovates and partners with customers in diverse global end markets. Its products are used in planes, cars, batteries, smart and medical devices, as well as in mineral and oil and gas extraction, enhancing efficiency and sustainability. Its lightweighting materials promote cleaner mobility, its formulations optimize the use of resources and its performance chemicals improve air and water quality. Solvay is headquartered in Brussels with around 24,500 employees in 61 countries. Net sales were € 10.1 billion in 2017, with 90% from activities where Solvay ranks among the world’s top 3 leaders, resulting in an EBITDA margin of 22%. Solvay SA (SOLB.BE) is listed on Euronext Brussels and Paris (Bloomberg: SOLB.BB - Reuters: SOLB.BR) and in the United States its shares (SOLVY) are traded through a level-1 ADR program.